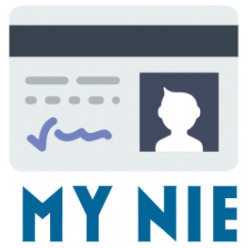 Why is a NIE Number important? If your thinking of moving to Spain its likely your main priority will be to find your dream home, perhaps a villa with a pool, or secure a new job. It’s important to know in the early stages the Importance of Obtaining your NIE Number and all the reasons why you may be asked to present it. 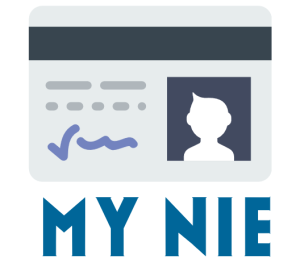 Why do I need a NIE Number? The Main reason people find from reading the endless blogs, websites and forums is that it is required for Buying, Selling and Renting property. Regardless of whether you plan to live in Spain permanently, rent for a short period of time or just buy a holiday home you must first obtain your NIE number. Usually it helps to know that wherever taxes are to be paid – it is required! It makes no difference if your coming to Spain To Study, a Work Placement, Start at a new job or are planning to Set up your Own Business you must get your NIE number. Once our living here in Spain you will find that the list of things to sort out is never-ending at first. Everybody needs a bank account so one of the first places to visit is the Bank. Which ever bank you choose is likely to request a copy of your nie certificate when opening up a new bank account for you, setting up a Mortgage Offer or approving your request for a Loan. All Loan and Mortgage agreements have to be written and signed in the presence of a Notary. It’s here at the Notary that the Notaire will request to also see your NIE Certificate! Another item you might have top of your list when moving to Spain is Buying a Car. When purchasing a new or second hand vehicle the garage will need your nie number in order to legalise your car documentation and transfer the ownership into your name. If you buy privately it is usually agreed between the buyer and the seller as to who will be responsible for the transfer of ownership, either way your nie certificate is one of the documents that the Tráfico department will require to complete this request. In the meantime organising Car Insurance (and no doubt Household Insurance too) will be a priority too so yet again, have your NIE number close to hand. Once your settled in your new dream home you will want to set up your household utilities. We all need Electricity, Water, Telephones and Internet. Each provider will need your NIE Number to set up a new supply contract. When getting a Mobile phone either on a contract or Pay as you Go – and lets be honest; however did we manage without one? – You will need to show your NIE Certificate at the point of order. In this case it is also quite common to also be asked for your Padrón. To apply for a Padrón you will also need your NIE. Other reasons for needing an NIE number are: Inheritance, To become a Resident in Spain, To Register at the Doctors. Children may be asked for it when Enrolling at their local School. Hi. I urgently need a NIE NUMBER in Malaga. Can you help? I need a NIE Number really quickly!! Can you help me I’m in Madrid? Previous Previous post: NIE Number offices closed on National and local Holidays 2019 Spain. Next Next post: Is a ETIAS the same as A NIE number?